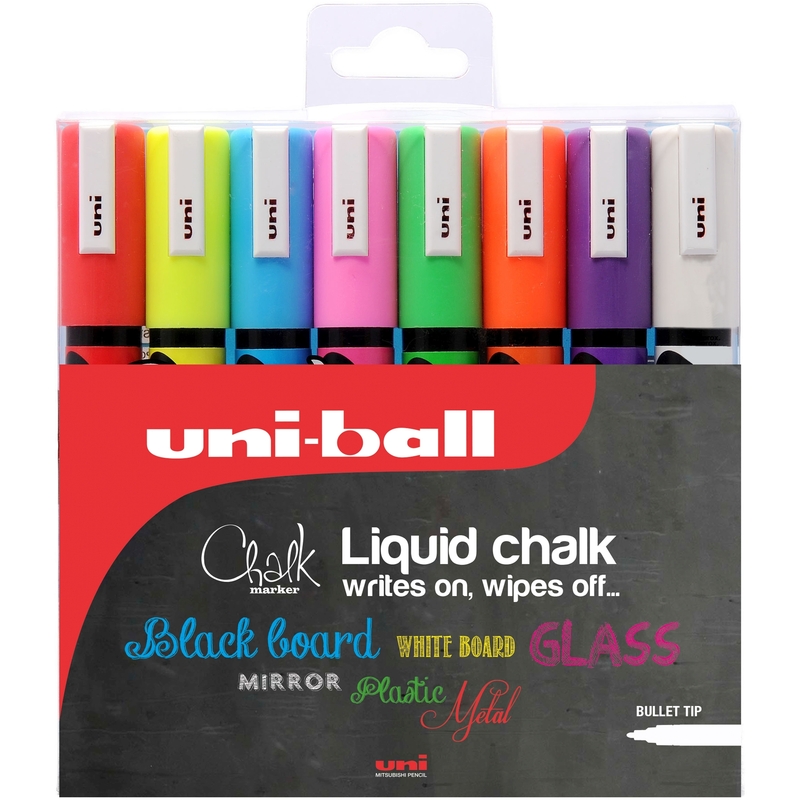 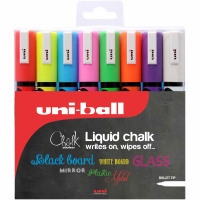 The PWE Chalk Marker from uni-ball writes on non-porous surfaces such as glass, plastic and of course chalk boards. 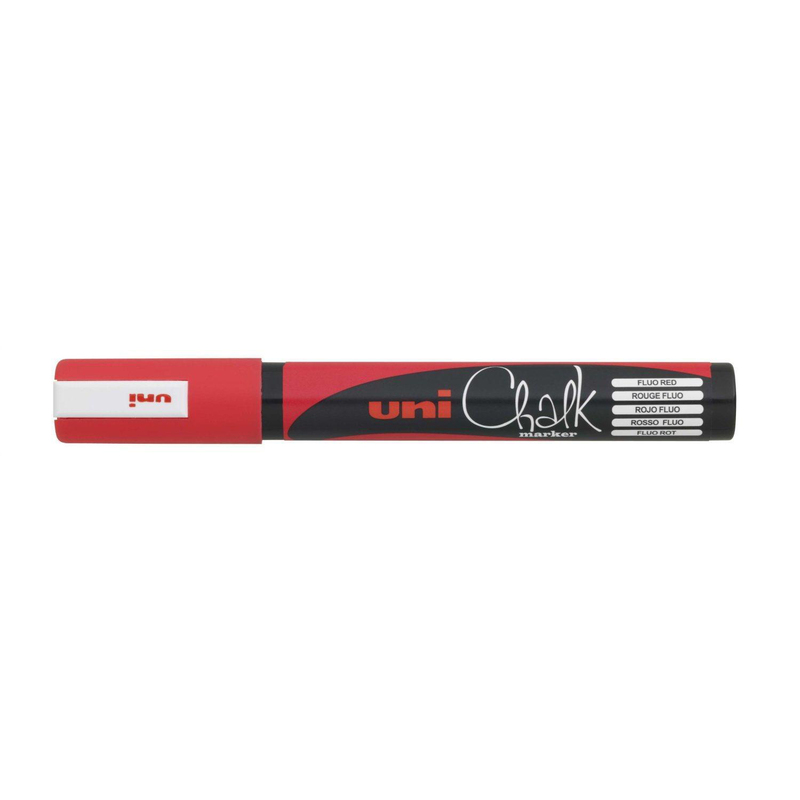 It’s odour, solvent and alcohol free ink gives a write on wipe off finish – just use a damp cloth to remove. 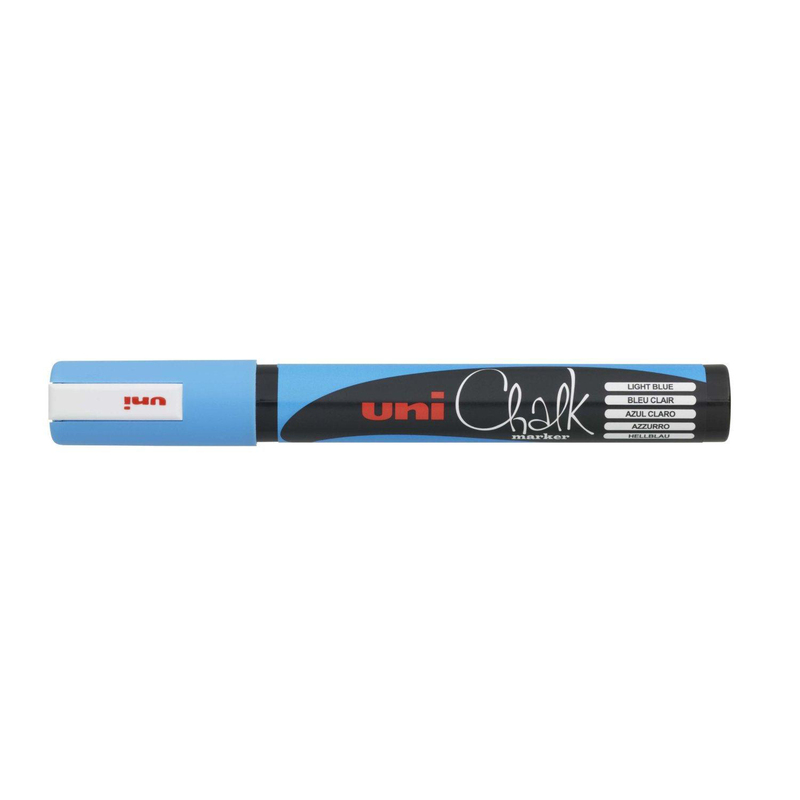 The ink however will stand up to rain so it makes the PWE Chalk Marker ideal for sign writing in pubs, restaurants and cafes.